Dear Purchasers and sales, are you looking for capacitors? 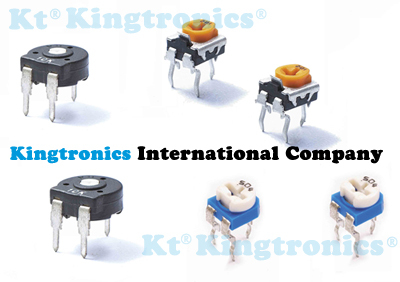 We Kingtronics is an ISO 9001:2008 Certified Manufacturer since 1990 based in HK. We produce capacitor and diode. Our capacitors sell to Farnell, Newark and Avnet. Tantalum bead capacitors (dipped) are polarised and have low voltage ratings like electrolytic capacitors. Dipped tantalum capacitors' size is very small, so radial tantalum capacitors are used where a large capacitance is needed in a small size. 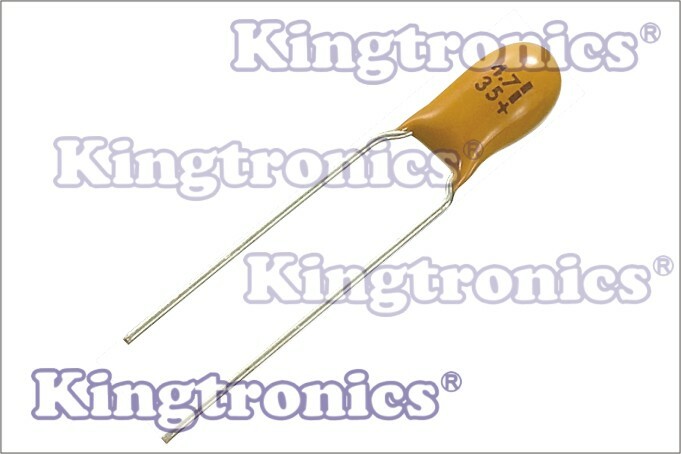 Kingtronics tantalum bead capacitors are printed with their capacitance and voltage in full. Dipped tantalum have two pakage method, bulk and Ammo Tape in Box (Ammo Taped). Sirs, pls check our cross reference for dipped tantalum capacitor listed below. We can give you very good quality, quick delivery and competitive price. Could you pls consider to cooperate with us? Your inquiry/order are highly appreciated any time. Pls feel free to emeil to sales2@kingtronics.com and we will give full support and excellent service. Prosze o kontakt z osoba, ktora w Panstwa firmie zajmuje sie zamowieniami. Jestesmy producentem z dwoma fabrykami. Nasze komponenty maja certyfikaty ISO, SGS i UL. Nasze certyfikaty, specyfikacje i opisy mozna znalezc na nasze stronie internetowej: www.kingtronics.com . Posiadamy 43 linie produkcyjne. Dear Purchasers and sales, how is your work going? Would you like have a stabel supplier to help your business? With over 20 years' development, our products has gained a high reputation in the global market. Here I introduce you our best seller for diode--6A10. If you are a famous distributor, I believe you have demands for this diode, or great interests in it. Below is detailed information for your reference. Kindly pls help me to promote to your clients. Your inquiry/order are highly appreciated any time. Pls feel free to emeil to sales2@kingtronics.com and we will give you our best prices and excellent service. Do you know that Kingtronics have two factories? Kingtronics is one of the oldest trimmer factory in CN, with ISO 9001: 2008 certied, we produce these trimmer: 3296 3006 3386 3266 3362 3329 3590S. Besides, we are very strong in bridge rectifier. Please check below prices. Do you have bridge rectifier or diode LL4148 M7 S1M inquiry? Please send to me. Kingtronics is manufacturer based in HongKong with ISO certification. We Kingtronics can produce military level for dipped tantalum capacitors with our own brand " kingtronics", our quality is excellent! More important, now Kingtronics lead time for dipped tantalum improved a lot with price dropped! We can give you good service and best support! Could you please spend a few minutes to visit our website, you will find the whole cross reference, very nice photos for our capacitors, and detailed PDF datasheet. Kingtronics is a reliable, professional manufacturer, we look forward to do business with you! My dear friend, wish you have a nice day! Do you use or buy bridges? Here I introduce you our strongest item--DB107S. It has most competitive price and very quick delivery. More important, our bridge is UL certified which many Taiwan suppliers dont have. Kindly pls check following materials and inform if you have inquiry/order for us. It is well known that bridges can be used in many fields such as PCB(printed circut board), amplifier, speaker, player.... Do you have any friends who manufacture these products? Kindly pls help me to promote to them. I believe our good L/T and excellent quality will make your business more smooth and successfull. Any inquiry/order, pls feel free to email to sales2@kingtronics.com. We will reply you instantly. How is your business going lately? Wish you have a happy weekend. Are you LED manufacturer? Do you buy or use radial mlcc capacitors? Currently it becomes our trump card. for automatic surface mountin, used in Extreme fast switches. Price is unbeatable on the market ! We are ISO manufacturer with two factories. Kingtronics own brand " KINGTRONICS"
Looking forward for your inquiry !! This is Kingtronics from Hong Kong. We are a leading manufacturer of triming potentiometer since 1990. 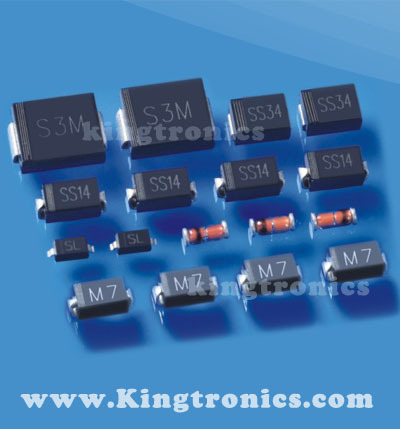 We produce & sell under own brand "Kingtronics", all products are RoHS compliant. Electronic component demand is increasing day by day which makes the market become more competitive. But Kingtronics has the confidence to be your preference. It's known that famous manufacturers like Bourns, Tocos, ....Compared with them, Kingtronics provides you short lead-time with good quality, while our price is more competitive! You could visit our website and find our cross reference. Besides, we have SGS certification to support. Thank you for your attention and Kingtronics are glad to prepare for you at any time! 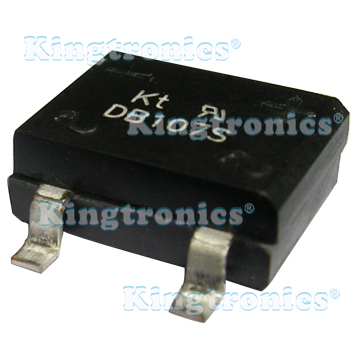 ISO 9001: 2008 Manufacturer Kingtronics, Kingtronics are one of the oldest factory for trimmer potentiometer. 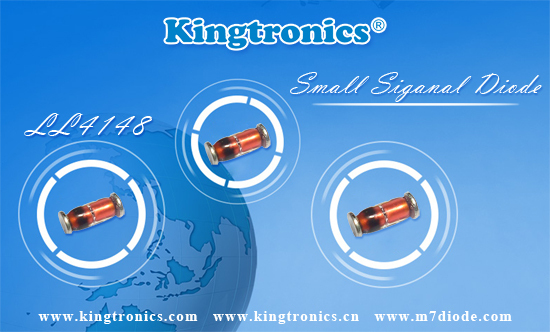 Our trimmer potentiometer have ISO & SGS certifications. We can provide equivalence for Bourns, BI Technology, Tocos, Murata, Vishay, Copal, CTS. You could please visit our website, and you will find our cross reference for trimmer and capacitors. Do you buy or use below trimmer ? Could you please send me your inquiry? I will give you very competitive prices. Also you could please help me to promote our trimmer to your clients. Our quality and prices will help you! More important, we offer good delivery & service: 4-5 weeks.